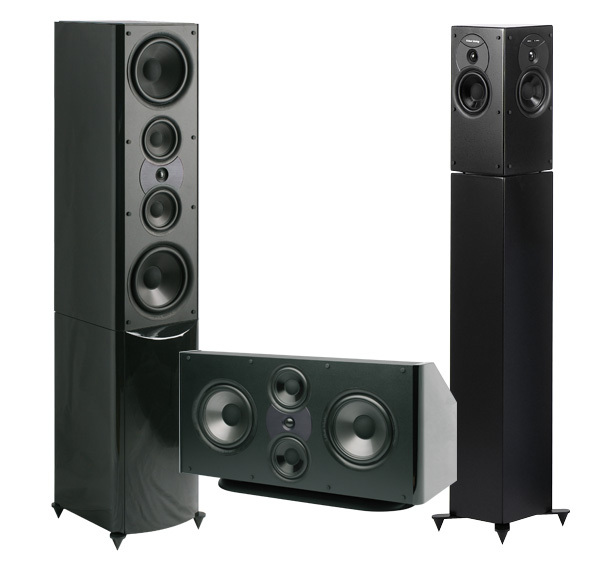 The Size of your room plays an important role in speaker selection and installation. Medium to Large Room with 2500-5000 cu. ft. Medium Room with 1800-2500 cu. ft.
Small to Medium Room with less than 1800 cu. ft.
5) Floor Standing Tower Speaker Installation. a) 5.1 surround sound speaker system. b) 7.1 surround sound speaker set up. c) 9.1 surround sound speaker system installation. We also offer Audyssey Surround Sound Calibration.